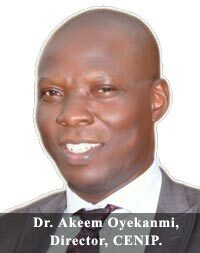 An Agronomist in the University’s Department of Plant Physiology and Crop Production, Dr. Akeem Oyekanmi, has stressed the need for government and other stakeholders in the nation’s agricultural sector to create market access for farmers, to enable them sell their products easily in order to maximize returns. Dr. Oyekanmi, the University’s Director, Centre for Internationalization and Partnerships (CENIP), lauded President Goodluck Jonathan’s transformation programme on agriculture as well as the initiative of the Minister for Agriculture and Rural Development, Dr. Akinwunmi Adesina. He pointed out that government will do better “by creating market access for farmers, to be able to sell their products”. The Agronomist said the call for the creation of access market became imperative because “most farmers are not making money. They are only doing it (farming), as a means of survival, moreso, they have no alternative”. He stressed that apart from peasant farmers, the elites are not favourably disposed to farming because they prefer to put their money on a profitable investment. Dr. Oyekanmi, therefore, pleaded with government and other stakeholders to make farming attractive, by providing the enabling atmosphere. Commenting on low farming output during the dry season, the don lamented that the situation will remain so until the cost of irrigation is within the reach of an average Nigerian farmer.